Quitting smoking after a coronary event reduces the 3-5 years mortality with 35%-50% , and this reduction increases further with several years of follow up . Despite this, only 30-40% stops smoking spontaneously [3,4]. Randomized trials have shown that smoking cessation rates after myocardial infarction and percutaneous coronary intervention (PCI) can be significantly increased if applying a smoking cessation program with several months of intervention . Such programs have also been shown to be very cost-effective in terms of years of life saved . Several studies have found that smoking is related to poor quality of life (QoL) . In cardiovascular patients, however, less attention has been given to the effect of smoking cessation on patients' QoL . We therefore sought to explore the extent to which smoking cessation leads to changes in QoL in coronary patients. We were particularly interested in changes in QoL as related to smoking status (such as quitters, smokers, and those who failed their quit attempt). Furthermore, we examined whether patients’ QoL was influenced clinical characteristics (e.g., nicotine dependency). Continuous variables are expressed as mean ± standard deviation. For categorical variables, analysis included frequencies and percentages. All tests of significance were two-tailed: x2 and Fisher’s exact test for discrete variables and analysis of variance (ANOVA) for continuous variables. We chose a significance level of 0.05. To be able to adjust for differences in baseline characteristics, the QoL scores in non-randomized groups (smokers’ vs non smokers) were compared using multivariate linear regression analysis. We used SPSS for Windows for all analyses. A total of 200 patients were included in the analysis. As shown in Table 1 no significant differences were found between groups in baseline variables such as age or co-morbidities (Table 1). The only baseline characteristic that differed significantly between smokers and non-smokers was the level of hypercholesterolemia. Six out of eight scales such as role-physical, bodily pain, general health, social functioning, role-emotional, and mental health were comparable between the two groups. On the other hand physical functioning and vitality scales were improved in smoker patients. (see Table 2 ). 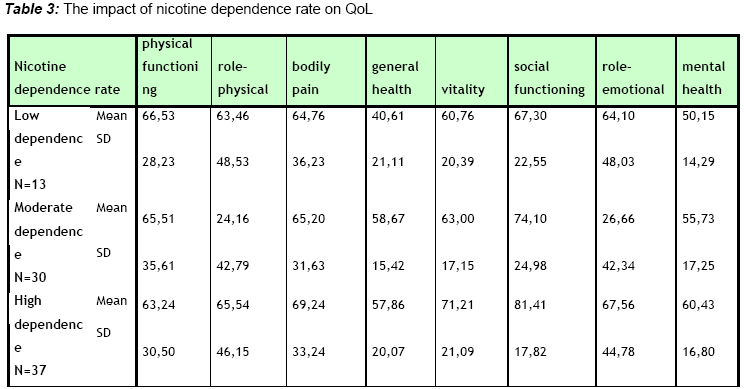 Table 3 shows the impact of nicotine dependence rate on QoL. Although, General health is statistically improved in moderate dependent patients (P=0.011), the role physical (P=0.001) and role emotional (P=0.001) scale are improved in high and low dependent patients. Table 4 shows the impact of CAD on QoL in patients enrolled in the study. Significant differences in QoL scores could be demonstrated between coronary and non coronary patients. According to the AHA/ACC guidelines for the treatment of coronary artery disease “patient and physician together should explore the potential benefits of improved quality of life with the attendant risks of the procedure versus alternative therapy, taking into account baseline functional capacities and patient’s preferences”. 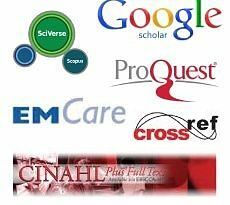 Moreover, Health related quality of life is increasingly preferred as an endpoint in the assessment of efficacy and effectiveness of surgical interventions. 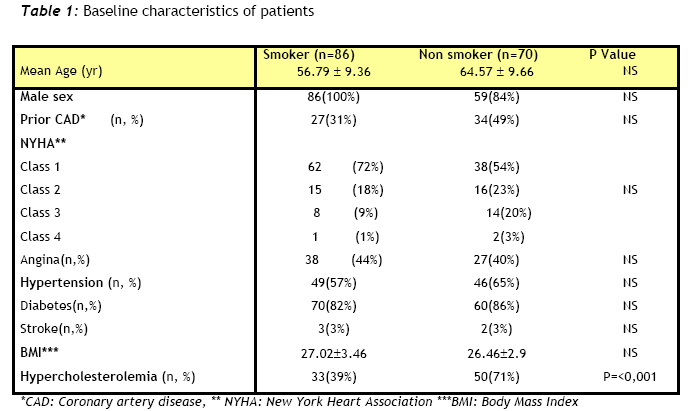 In this prospective study, we aimed to show the Quality of life (QoL) profile in smoker and ex-smoker patients referred for coronary angiography. The QoL subscales such as vitality and physical functioning were improved in smoker patients. Quist-Paulsen P and his colleagues8 have shown that the difference in QoL between quitters and smokers increased as the amount of smoking increased, but no trend in the difference in QoL was observed with time since quitting. With regard to nicotine dependency this study found that general health improved in moderate smokers than heavy. On the other hand the physical and emotional vitality scales were improved in low dependant smokers. Wilson and colleagues  reported significantly lower general and mental health QoL scores among heavy and moderate smokers than among light and never smokers, indicating that the number of cigarettes smoked each day was related to QoL. In addition, Schmitz  found that nicotine-dependent smokers reported significantly poorer overall QoL and greater disability than nondependent smokers. However, they found only small differences when they compared QoL and disabilities between current nondependent smokers and never-smokers. In cardiovascular patients, however, less attention has been given to the effect of smoking cessation on patients’ wellbeing. According to the results of the study patients after a coronary event have impaired QoL compared to those without such an event. According to Haddock et al  never-smokers and quitters experienced significantly higher physical and mental QoL than smokers at 12 months after the procedure. For our data to be interpreted properly, the limitations of our study must be addressed. One limitation of the study is the small number of patients enrolled compared to other studies and a larger sample size may have shown significant differences in QoL outcomes. Furthermore, the patients enrolled in the study were not randomized to either group. Nevertheless factors that may affect QoL outcomes such as functional classification according to the New York Heart Association, age and cardiovascular risk factors did not differ significantly between the two groups. Several investigators have shown that patients with coronary heart disease who smoke have inferior QoL compared to non-smokers [7,8], but only a few studies have analysed whether nicotine dependence rate has impact on QoL. Further studies are needed to conclude whether nicotine dependence rate is a negative predictor of QoL and if QoL has impact on smoking cessation in patients with coronary heart disease. Moreover, research into psychosocial adjustment and quality of life reflect nursing’s long-standing interest in these important outcomes . Taylor CB, Houston-Miller N, Killen JD, DeBusk RF. Smoking cessation after acute myocardial infarction: effects of a nurse-managed intervention. Ann Intern Med 1990; 113:118-123. Erickson SR, Thomas LA, Blitz SG, Pontius LR. Smoking cessation: a pilot study of the effects on health-related quality of life and perceived work performance one week into the attempt. Ann Pharmacother. 2004; 38(11):1805-10. Wilson DH, Chittleborough CR, Kirke K, Grant JF, Ruffin RE.The health-related quality of life of male and female heavy smokers. Soz Praventivmed. 2004; 49(6):406-12. Schmitz JM. Conference summary Fifth Annual Meeting. Society for Research on Nicotine and Tobacco. San Diego, CA, USA. 5-7 March 1999.Nicotine Tob Res. 1999 Sep; 1(3):269-71. Haddock CK, Lando H, Klesges RC, Peterson AL, Scarinci IC.Modified tobacco use and lifestyle change in risk-reducing beliefs about smoking.Am J Prev Med. 2004; 27(1):35-41.